Drive: If you haven’t driven on a racetrack at the highest speeds you can handle, you haven’t truly “driven.” Then again, if you haven’t taken the wheel of a Porsche, the same can be said. 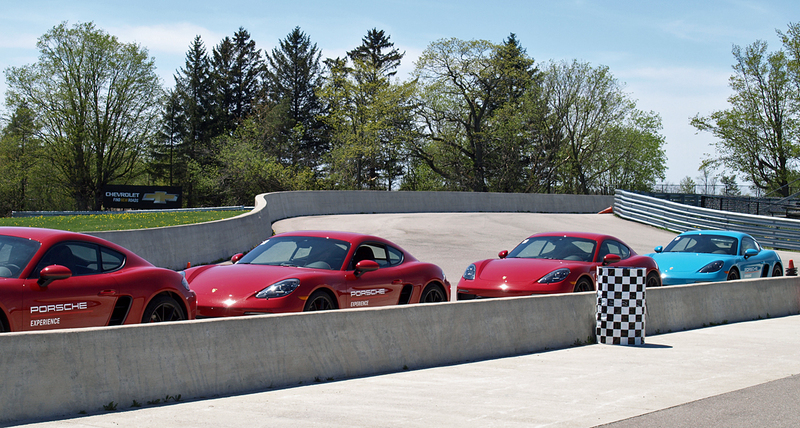 But while just about everyone would jump at the chance to drive a 350-horsepower 718 Cayman S or 420-hp 911 Carrera S – both of which we piloted during a full day of the Porsche Experience at Bowmanville’s famous Canadian Tire Motorsport Park – many people don’t seem to know the true value of a performance driving class. This isn’t just a fun day (and “fun” is a barely adequate descriptor). No matter what car you usually drive, by the end of the session you’ll be a better motorist. You’ll understand principles of how to stay safely on the road, from braking at the right time (and the right amount) to finding the best approach into a corner. Granted, you can’t hold the average car to the standards of a Porsche, but you’ll discover what it really means to “read the road” when you drive – such as detecting the moment that tire grip is lost, and knowing how to find it again. Normally a two-day program, our session was condensed into a morning of slalom, autocross and skidpad exercises, followed by an afternoon of track driving. The morning began with a short classroom session to introduce the instructors and review the basics of traction, understeer/oversteer and correct driving position. It used to be with the hands at 10-and-2, but due to airbags is now safest at 9-and-3 (Porsche makes it a no-brainer, with comfy slots on the steering wheel to guide your thumb placement). In a nod to its Le Mans racing heritage, every Porsche has an ignition on the left side, rather than right (to avoid conflict with shifting). That racecar heritage became even more apparent behind the wheel. This is not a “cushy” vehicle, from the firm seats and compact interior to the road-hugging attitude – if your priority is comfort, look elsewhere. Not to say these are uncomfortable vehicles (even for 6-foot-plus drivers), but there is one reason to drive a Porsche: performance. After a day of zipping between cones, stopping on a dime and taking turns at speeds that will turn stomachs (literally – sick bags are included in the vehicles), I was suddenly forced to reevaluate my “dream car” criteria. Maybe a Porsche 911 isn’t the most practical daily driver – but what fun! Even when obeying the speed limits (which might be difficult), you’ll have the confidence of knowing the 911 is ready for anything the road can throw at you. The only question is whether your driving skills are up to the task. At one point, as I became more confident with our high speeds, I angled into a turn with too much enthusiasm and slid onto the outside dirt shoulder, but in another beat I was back on the track (the driver behind me was probably more shaken than I was). It was a soft lesson in paying attention, certainly made easier by the fact there was nothing to hit; but it was also a reminder of how agile these vehicles are, and how easily they can recover. The instructors use a two-way radio to give input to drivers, which was invaluable, because you could hear their comments to other drivers. 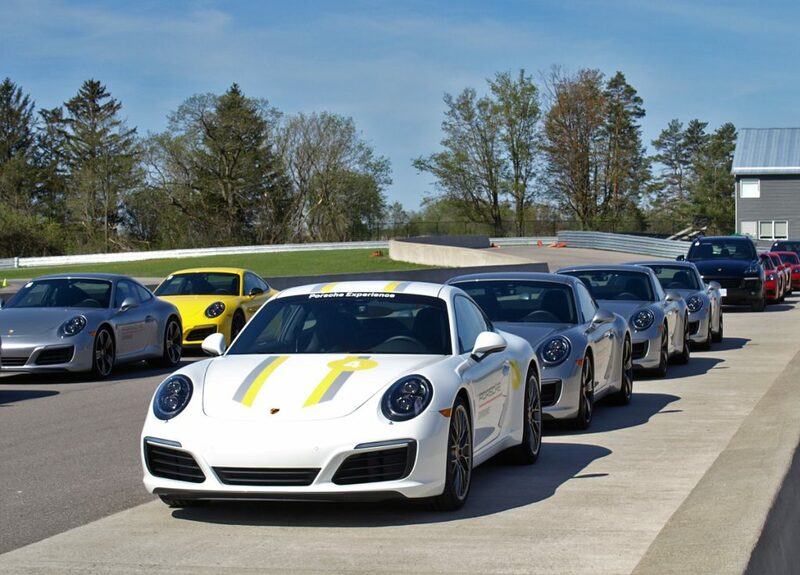 The pinnacle of the day was when we ended with a “hot lap.” The instructors at the wheel of the 911, with those daring enough to ride along as passengers. 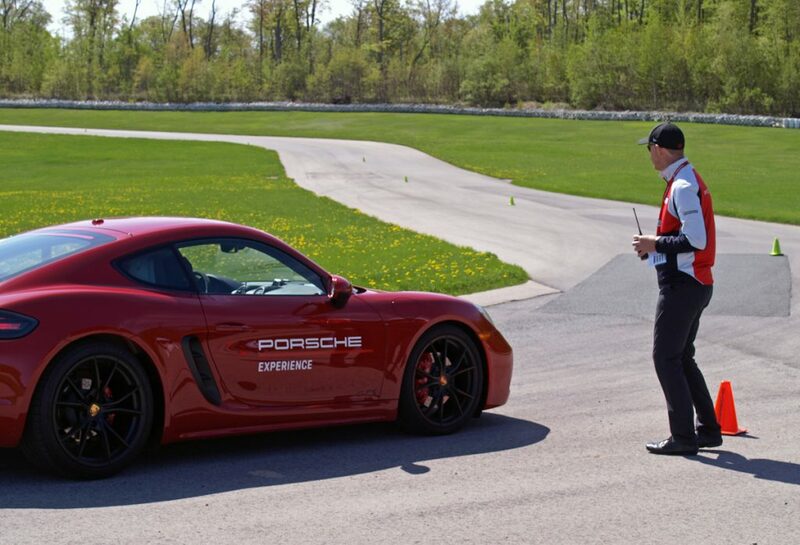 While the instructor explains his technique and pushes the Porsche to mind-bending speeds, you realize the only limits are your own. I was surprised to see a few people opt out, but I managed to persuade one hesitant participant into the ride-along using what I call “peer pressure for the greater good.” When he exited the car, he thanked me profusely. Looks: Calling the Porsche 911 “iconic” is almost an understatement. This is the sports car by which others are measured, for better or – usually – for worse. There’s no question that the 911 is classically appealing. Its lines say “fast,” and Porsche’s history as a racetrack superstar means you can expect all the thrills the name promises. Sleek ergonomics and cutting-edge technology combine to deliver a jet-pilot sensation at the wheel. You’ll barely notice all the looks because you’ll be having too much fun driving. Standout features: What isn’t obvious to the naked eye is crystal clear from behind the wheel. A perfect balance of high-tech engine, transmission and suspension systems are finely tuned to adjust to a multitude of inputs, from weight balance to speed to braking. We drove with the PDK automatic, a revolutionary dual-clutch transmission designed to anticipate the next gear before it’s needed (with shift paddles for when you prefer to take control). A pop-up spoiler kicks in when additional downforce is required, no doubt helping achieve the 911 S’s stellar 3.9-second, zero-to-100-km/h sprint. High-speed cornering is when you realize the true art of Porsche; the g-force is so strong, your neck might feel weak by the end of the day. Speaking of which, techies will love Porsche’s G Force app, which records real-time, in-car performance via iPhone or iPad.